The reality is that there is no one­-size­-fits­-all solution to health insurance. Different people have different needs and preferences. This reality will create a demand for a variety of insurance options to meet a variety of needs. 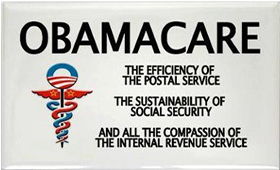 Some people will prefer more comprehensive coverage and higher premiums. Others will opt for less coverage and lower premiums. All will be covered against catastrophic events but day­-to­-day coverage will vary.